Private self-catering villa with 3 independently bookable rooms, in over 4000m2 of gardens, only overlooked by Mt. Maroma, highest mountain in the Sierra de Tejeda range. 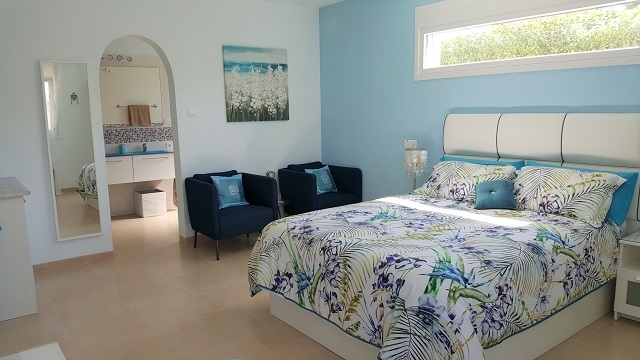 Three luxury self-contained double bedded rooms, named Viñuela, Maroma and Nerja. All with en-suite de-luxe bathrooms, double sinks, walk-in rain shower, toilet, bidet, hairdryer and complimentary toiletries. Each room has a kitchenette, refrigerator with icebox, Nespresso coffee and tea making facilities, TV, A/C, fan and safe. Fully fitted communal kitchen with hob, oven, fridge-freezer, and microwave. Communal salon with wide selection of books and games. 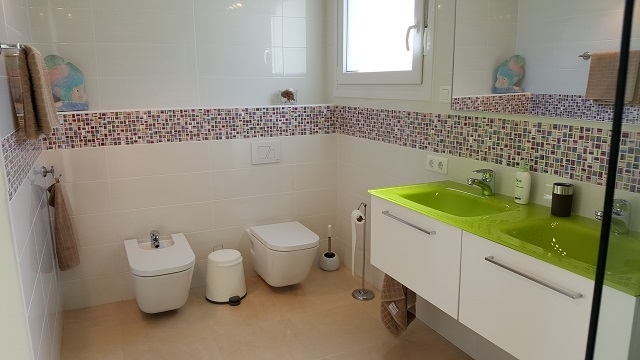 Self-catering with use of fully-fitted communal kitchen and salon. Each room is supplied with its own dishes and utensils. 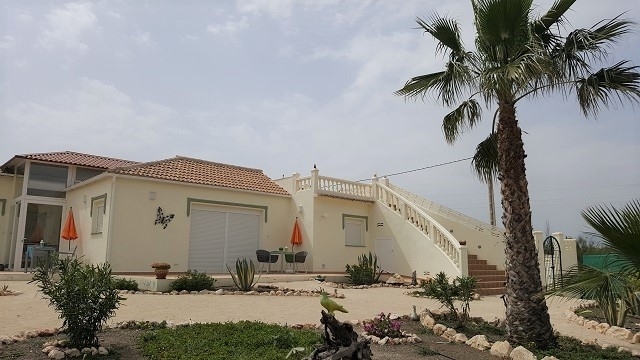 Close to many local restaurants, bars and shops, with coastal resorts a minimum of 15km away. 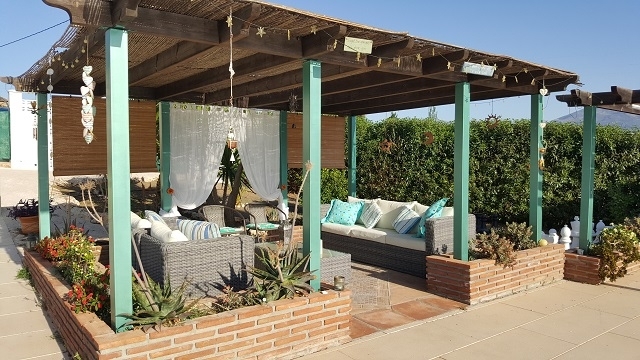 Heated private pool with extensive terracing, sunbeds, parasols, pool towels provided, pool honesty bar, free wifi throughout the property, boules court, giant chess, BBQ and outdoor dining area. Roof terrace for spectacular sunrise and sunsets. Several relaxing areas throughout the garden. Possibility for walks, canoeing, kayaking, tennis and biking in the nearby vicinity. Secured, on premises parking. 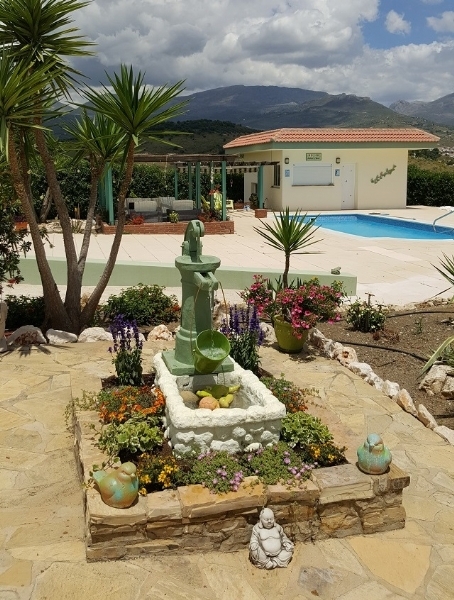 Cortijo Carmela is located in the stunning Axarquia region, 15km north of Torre del Mar, surrounded by spectacular scenery, but close to beaches and many amenities. Each bedroom is decorated in tranquil relaxing colours, each with its own terrace area and bistro table and chairs overlooking the pool and the mountains. Average per room €85 per night/€580 per week dependant on season. Min 3 nights in high season. Min 2 nights in low season. For exclusive use of villa, request rate. 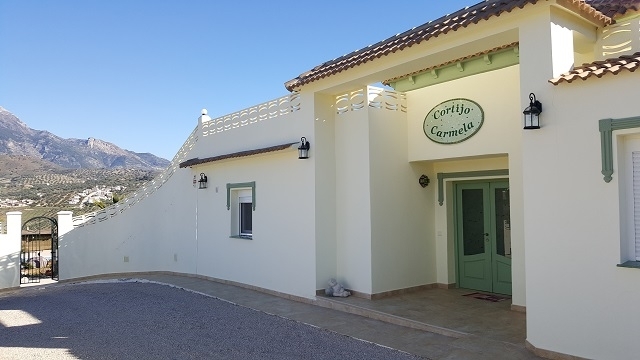 Cortijo Carmela, Los Cortijuelos 19, 29712 La Viñuela, Malaga, Spain.